As per Intel, the new processors will allow users to download an 8GB HD movie in about one minute with Intel 9560 AC as opposed to 10 minutes with 802.11 BGN. 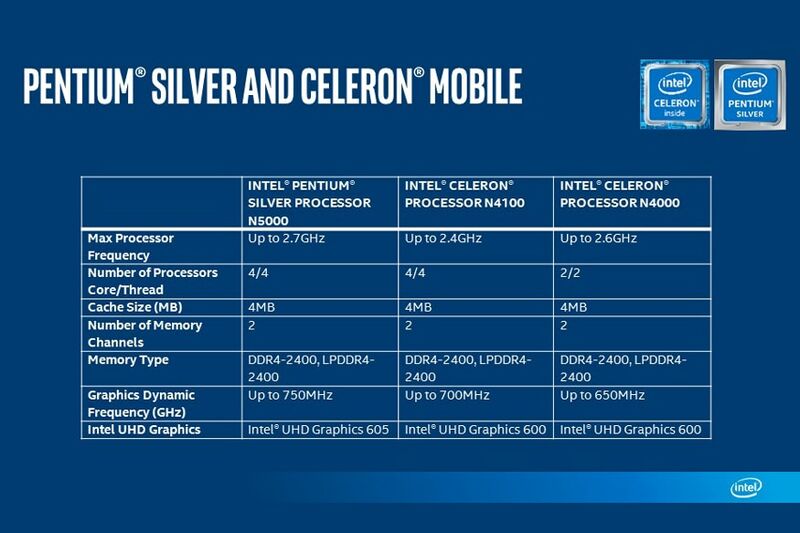 Intel has unveiled its latest processor offerings by the name of Intel Pentium Silver and Intel Celeron processors. As per Intel, the new Intel Pentium Silver and Intel Celeron processors are based on Gemini Lake architecture and are engineered for a balance of performance and connectivity for the everyday work of users. 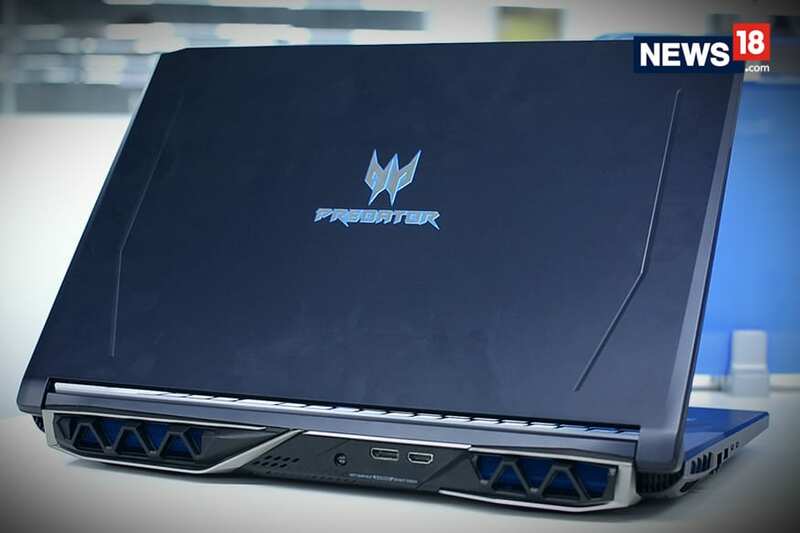 Intel claims that the new Pentium Silver will deliver 58 percent faster productivity performance as compared to a similar 4-year-old PC. 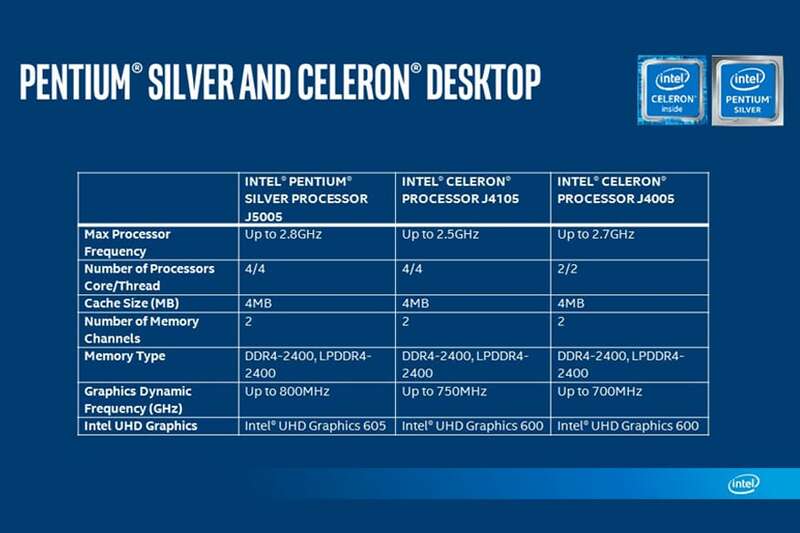 To help differentiate processor performance levels, Intel has introduced new brand levels with this unveiling: Intel Pentium Silver and Intel Pentium Gold. Intel Pentium Silver processors launching today, represent the cost-optimized option in the Intel Pentium processor family. Intel Pentium Gold processors – which are already in market based on the Kaby Lake architecture – represent the highest-performing Pentium processors available. Intel claims to offer Gigabit Wi-Fi capability with the new Intel Pentium Silver and Intel Celeron processors as a first on any PC platform. Using the industry standard of 2x2 802.11AC with 160MHz channels, Intel claims to deliver download speeds up to two times faster compared with systems using 802.11AC, 12 times faster compared with systems using 802.11 BGN, and even faster than a wired Gigabit Ethernet connection, on the new processors. Additionally, Intel Pentium Silver and Intel Celeron-based systems will be able to handle the latest in enhanced media for streaming content from sites like YouTube and Netflix. Intel is also delivering a display technology called Local Adaptive Contrast Enhancement (LACE) to the value space, designed to help people clearly see the screen outdoors in glare and bright light. All of this comes with hardware-enabled security aiming for a fast and safe online experience. The new processors launching today come with variants aimed to cater to different devices like, Intel Pentium Silver processors N5000 for mobile and J5005 for desktop and Intel Celeron processors N4100 and N4000 for mobile and J4105 and J4005 for desktop PCs. As per Intel, designs from major OEMs around the latest Intel processors can be expected to launch in the first quarter of 2018.